Funeral insurance is sold as peace of mind your nearest and dearest won’t have to pick up the tab for your final farewell. Ads claim acceptance is “guaranteed”. You can sign up on the spot, no medical checks required. But the ease of signing on belies the financial pitfalls of funeral insurance policies. 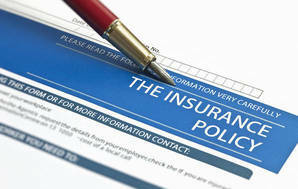 You can ultimately end up paying thousands more than the insurance cover is worth. If you cancel because premiums are too high, your money’s gone and you’ll be back to square one. Funeral insurance marketing plays on people’s fears about being a burden on their family. But ads seldom disclose the lifetime costs of this product. Based on quotes for $10,000 funeral cover for a 64-year-old, we calculated you could pay anything from 10 to 100 percent more than the policy was worth by age 84 (see our Funeral cover table). If you live out your allotted years — average life expectancy is 86 for a man and 88 for a woman — you’ll pay even more with most of the 10 policies we reviewed. Premiums for Cigna’s funeral policy — regularly advertised on TV — start at $66 a month for a 64-year-old man. By age 84, these premiums add up to $17,500, in return for just $10,000 of cover. A 64-year-old woman would pay $14,500 over the same period. Cigna’s policy, along with four others, requires premiums to be paid until you die. The longer you live, the more you stand to pay. Some companies cap premium payments at a specified age. But you could still pay over the odds. With Fidelity Life’s Golden Life policy, promoted as a life insurance policy that can be used for funeral expenses, premiums stop at 85. By that age, a 64-year-old man who takes out a policy today, will have paid more than $20,000 for $10,000 worth of cover; a woman will pay over $17,000. All policies we looked at exclude cover for death from natural causes in the first two years. You only get full cover during this time if death results from accidental injury. Of the 10 policies, only Greenwich Life stops premiums when the amount paid equals the sum insured. Greenwich Life is a brand of DPL Insurance, which also markets the Dorchester Life funeral policy. However, the latter requires premiums to be paid until the policy holder turns 100. Insurers point out they bear the risk if the customer dies within a short time of taking out a policy. But you can’t die too soon. All policies we looked at exclude cover for death from natural causes in the first two years — the payout will typically be limited to a return of your premiums. You only get full cover during this time if death results from accidental injury. Across the Tasman, marketing of funeral insurance has been under increasing scrutiny. 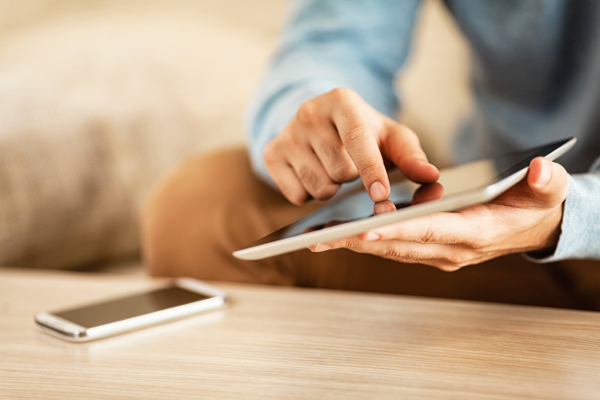 A 2015 report by the Australian Securities and Investments Commission (ASIC) found a high rate of cancellations, an issue it linked to the cost of cover and the way policies were designed and sold. Most cancellations occurred outside the cooling-off period, which meant the consumer didn’t get any money back. The commission reported 65 percent of cancellations were initiated by the consumer with the remainder by the insurer for non-payment of premiums. In 2014, 16.5 percent (72,000) of existing policies were cancelled. However, the cancellation rate as a proportion of new policies issued for the year was estimated to be as high as 80 percent. Pressure from consumer groups and regulators has led some companies in Australia to introduce caps on premiums so customers don’t pay more than the policy will pay out. No insurers we spoke to here are planning similar changes to their policies. Funeral insurance can be a pricey way to pay for your final send-off. It’s easy to end up paying more in premiums than the policy is worth. If you can't afford to keep up payments or want to cancel, there’s no refund. We think marketing of these policies risks misleading consumers about the cover they’re getting. The lifetime costs of funeral insurance should be clearly disclosed so consumers can make informed choices about where they put their money. Pre-paid funerals, an alternative to funeral insurance, can be arranged by setting up a plan with a funeral director or establishing a funeral trust. Both let you pay upfront or through contributions. The Funeral Directors Association of New Zealand (FDANZ) has a pre-paid funeral plan that's offered through its members. To establish a plan, you meet with a funeral director and discuss the arrangements you want for your send-off. The funeral director will calculate the cost you’ll pay, plus administration fees. Your money earns interest but the plan isn’t “inflation-proof”, so there’s no guarantee the interest will compensate for future cost increases. Your estate will need to meet any shortfall. FDANZ requires members offering its funeral plan to deposit funds into its funeral trust account. As at June 2015, accumulated funds stood at $52.5 million. The association takes a commission of $6 per plan per year plus $25 when your money is paid out. Not all funeral directors are members of FDANZ. Those who aren’t can set their own rules about how they operate their funeral funds. Pre-paid funeral trusts are offered by trustee companies, such as the Public Trust, and some law firms. Like funeral plans set up with a funeral director, these trusts usually have administration fees. The main difference is the money you put into a funeral trust is not usually tagged to a specific funeral provider. Some people pre-pay for their funeral because of the eligibility criteria for the long-term residential care subsidy, which is paid to help meet rest home care costs. Up to $10,000 in a pre-paid funeral scheme is exempt from the asset-testing requirements for the subsidy. The trade-off is that your money is usually locked away until you die. To meet the subsidy’s asset-testing rules, most pre-paid schemes pay out only on the production of a death certificate or have strict withdrawal conditions. Dying can be a pricey business. Available figures show the average funeral can cost the better part of $10,000. But lack of price disclosure in the funeral industry means consumers may be paying for extra services they don’t need or want. Funeral providers rarely advertise prices, making it difficult for consumers to compare what’s on offer. 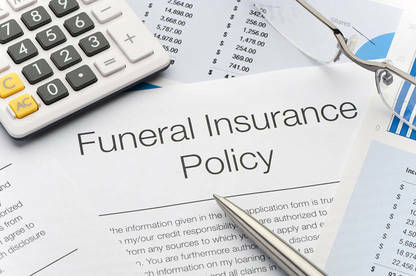 In 2015, the Law Commission recommended legislation requiring companies to publish price lists and provide itemised costs to consumers before entering an agreement to provide funeral services. As well as the funeral director’s fee, local government charges (for plot and cremation fees) and the price of the coffin, other fees may be charged for catering, flowers, embalming, newspaper notices, service sheets, the celebrant's fees, and the headstone or memorial work. Law changes to improve price transparency in the industry look some way off. The government believes “more policy work is needed” before it can reach a position on the commission’s recommendation to regulate funeral providers. 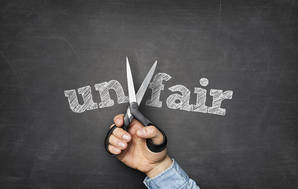 Insurance remains the only industry excluded from the unfair terms provisions of the Fair Trading Act. This is why funeral insurance policies, and other insurance contracts, can contain terms that unfairly favour the company over the consumer. We’ve called for this exemption to end so unfair terms can be challenged in court.